We can help you to choose the best salon suite for you in Fort Worth. Yes, that is a bold statement, but we’ve been doing this for a long time now, and we have delivered on that promise with many other talented beauticians, so we have the confidence which comes from success. Call us at (817) 823-7105 and talk to a representative of Salon & Spa Galleria. One phone call will change your life! What makes our salon suites the best salon suite for you? Our flexibility working with clients assured that you will receive personalized service at Salon and Spa Galleria Fort Worth. We understand that one size does not fit all in the beauty industry. We understand that some people simply want a salon chair rental, while others want a salon booth rental. Some want to share a salon suite rental with some other professional, while others want their own salon spa. We are fine with all of that! We also excel in salon booth rental prices which are affordable. Consider this: our salon booth rental prices begin at $50 per week. Talk about affordable! Do the math! You can literally pay your overhead after servicing one, or two, customers, with the rest of the week being sweet profit in your pocket. Our prices range from $50-$235, depending on what you are renting, so you can be we can design a rental agreement which works best for your budget. We offer ten location options at Salon and Spa Galleria. Maybe you want to work in Fort Worth. Maybe you want to work outside of Fort Worth, maybe the Alliance Area, or Grapevine, Mansfield or Arlington. We’ve got you covered with Salon & Spa Galleria Grapevine, Salon & Spa Galleria Mansfield, Salon & Spa Galleria . . .well, you get the picture. We have ten convenient locations with more under construction, and that means more options for you to choose from. And then we must talk about the amenities we offer! And we must talk about them because our list of amenities means money in the bank for you. 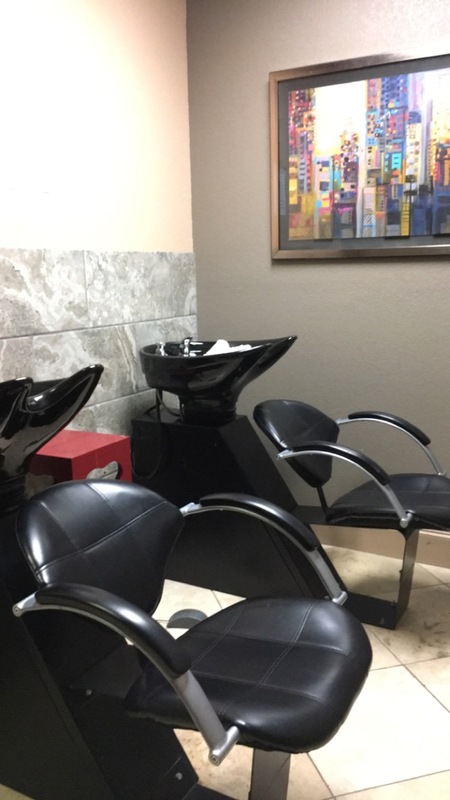 At Salon and Spa Galleria, we provide the professional equipment, we provide the utilities, we provide the WiFi, HDTV, marketing support, and security. In fact, we provide everything you need to open your business except your talent and work ethic. Those things only you can provide. The first thing you need to know about Salon & Spa Galleria is that we are locally owned and operated. You won’t be dealing with some office staff in Chicago when you have a problem. You’ll be dealing with our friendly staff of Texans, eager to help you at every turn. Yes, this is a business for us, but it is also a commitment from one Texan to another: you work hard, and we will put you in a position to succeed. How’s that sound to you? Give us a call! What do you have to lose? Nothing! What do you have to gain? Salon & Spa Galleria is the name . . . success is our game!